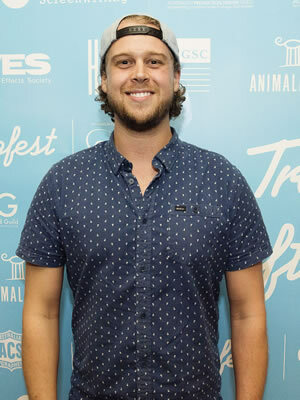 Tim is an award winning and energetic filmmaker from Sydney, Australia. He quickly became known as a problem solver with professional expertise in all aspects of film making, including filming, directing, editing and motion graphics. This ability to work across all aspects of production has allowed Tim a unique insight into the process of visual storytelling. With a refined focus on post-production, this insight enabled Tim to edit and build motion graphics for a dream list of clients, including Disney, LucasFilm, Qantas, Instagram, 20thCentury Fox, Channel Ten and Tourism Australia. Tim’s love for storytelling developed into a love of the editing process. He is driven to deliver the very best on every project and to seek out that defining factor that lifts it above the rest, meaning every project is a chance to further develop his skills. He is passionate about film making in every way and would love to work with you on your next project. Recent clients include; Bauer Media, BWD, Clemenger BBDO, Hogarth, Ogilvy and Yes Agency. I’ve worked with Tim on numerous projects over many years. His attention to detail and immense knowledge of everything production always amazes me. Many times have I found myself calling on Tim for advice. His ability to capture the essence of any story and his appreciation of visual aesthetics whether it be film or graphics, make him a top pick for any project. On top of this, Tim is personable, friendly and very easy to work with. Couldn’t recommend highly enough!